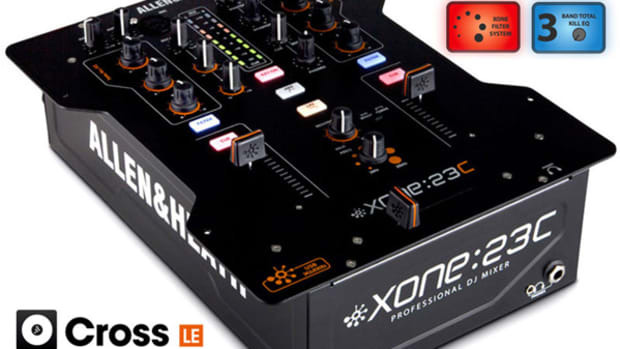 Allen & Heath has restyled the Xone:02 scratch mixer. 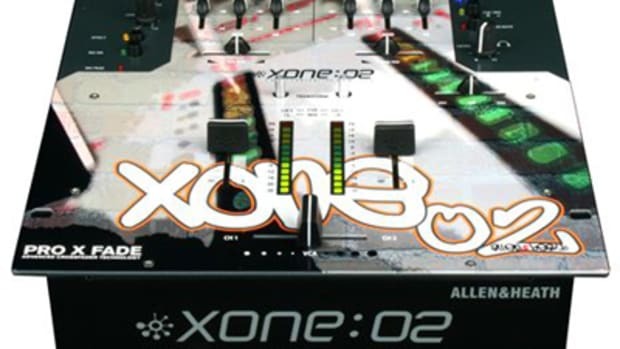 As an option to the original 02, the new Xone 2:02 which sports a specially-commissioned full colour face-plate and incorporates the ProXfade crossfader. The second edition of the Allen and Heath Xone:02; the Xone 2:02 mixer is designed to be one of the best two-channel scratch mixers on the market, sporting a newly designed paintjob and the ultra-precise Pro-X-Fade Crossfader. Allen and Heath is known for their high quality studio and production mixers which they have been able to successfully transfer over to their DJ mixer lineup as well. All of their DJ mixers exhibit high sound quality along with great durability and reliability. 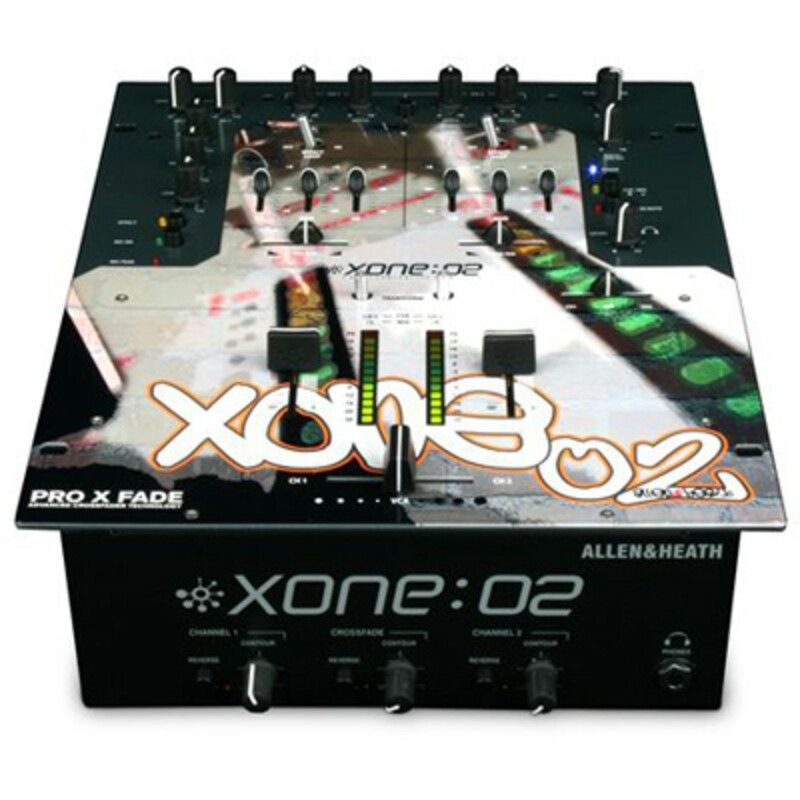 The first Xone:02 was a very good scratch mixer in its own right, so I pretty much expect this next edition to be similar but more refined, due to the inclusion of the Pro-X-Fade Crossfader. I assure you that this mixer did not disappoint. This mixer is built very tough. In fact, this is one of the most durable mixers I have ever handled. The Xone 2:02 is very heavy and will be able to stand up to abuse for many years to come. The construction is all metal. The knobs are all a sturdy, but a soft-rubbery type material which provides grip and comfort. I love the all-slider setup with all of the DJ controls being manipulated by faders. The cue, pan, and EQ sliders are all small hard plastic and they all have a center-click so that the DJ can feel the mid-point of the slide adjustment. The various push buttons are hard plastic and LED’s illuminate as they are pressed to show if a feature is activated (i.e. Crossfader reverse buttons and microphone on/off). The Linefader knobs are plastic and curved with a Xone symbol imprinted in them, while the Crossfader knob is straight and smooth. The faceplate is very smooth with a cool new paintjob. Some people will not like the fancy artwork, but I think it’s a great update. The entire fader area is free of any protruding screws, plates, or controls making the Xone 2:02 perfect for scratch and turntablist performances. The faceplate can be easily removed to remove or adjust the Pro-X-Fade Crossfader or to switch the direction of the Transformer switches. The setup of the Xone 2:02 was pretty straight forward. I simply plugged in the power cable, and connected my left and right RCA cables of each deck to the appropriate channel Line/Phono inputs on the back of the mixer. I then connected the RCA master outputs to my amplifier and I was ready to go. At this point I usually set my Crossfader and Linefader curve adjustments to the appropriate contour using the sturdy and rubbery knobs found on the front of the mixer. The Crossfader is set all the way to the right for the sharpest setting allowing for the quickest cut. The Linefaders are set to the halfway point when fade scratching and set to its sharpest settings when I want to cut using them. Crossfader – Having used a Pro-X-Fade Crossfader about two years ago, I already know what to expect with the Crossfader in the Xone 2:02. To start off, the Pro-X-Fade Crossfader is fully adjustable. There is a tension screw to adjust the resistance level of the Crossfader and the cut-in time can be adjusted on each side of the fader to eliminate or expand the dead-space area (the length of travel the Crossfader must move before sound is heard). For my scratch testing purposes, the settings of the Pro-X-Fade Crossfader were perfect right out of the box. The tension was nice and loose for scratching. The default cut-in distance of the Pro-X-Fade Crossfader is set at 1/16th of an inch. This setting was perfect for all of my scratching including crabs, transformers, and other fast moving fader techniques. This crossfader never showed any signs of wear, crackling, or degradation of any kind. The Pro-X-Fade was able to cut the sound extremely accurately. This is truly one of the BEST crossfaders ever created and it is a welcomed addition to the Allen and Heath Xone 2:02 design. It is truly like this fader and mixer were meant for each other. Linefaders – The Linefaders of the Allen and Heath Xone 2:02 look to be high quality VCA faders which can definitely hold their own in the turntablist arena. Many other high quality scratch mixers would even use these Linefaders as their crossfader. The tension of the line faders are set very similar to the default settings of the Pro-X-Fade crossfader and the cut in time is the same as well at 1/16th of an inch. These are non-adjustable line faders, but their default settings are more than adequate. This made for easy scratch transitions from the line faders to the crossfader. The scratching that was achieved on the crossfader could also easily be done on the Linefaders as well. Transformer Switches – I am very happy to see the inclusion of transformer switches on the Xone 2:02 Pro turntablist mixer. Back in the day, I remember every 2-channel “battle” mixer absolutely had to have transformer switches, but fast forward to 2010 and many of the top scratch mixers don’t have true transformer switches. DJ’s are often left to use lower quality Line/Phono selector switches which aren’t really made for abuse and rapid movements. The Transformer switches on the Xone 2:02 are seriously durable and have a short throw making it easy to switch them on and off very quickly. The faceplate of the mixer can be taken off to change the direction of the transformer switches to horizontal or vertical. These are truly high-grade transformer switches that any scratch DJ or turntablist are sure to enjoy. Inputs/Outputs – The Xone 2:02 has many inputs and outputs. There are balanced (XLR) and unbalanced (RCA) outputs. 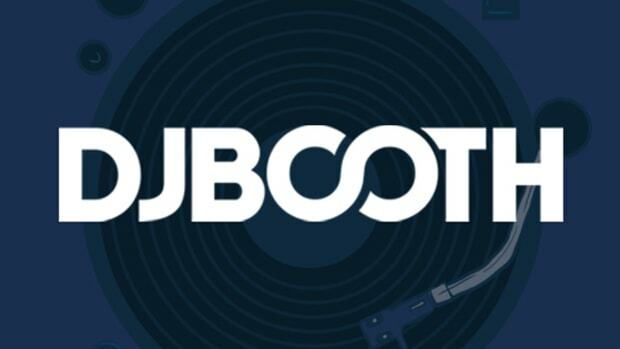 There is a Link input to link multiple mixers together for scratch battles. Each channel has an RCA Line input (Input B) with another Line/Phono input (Input A) that can be set to Phono or Line by the push of a button. 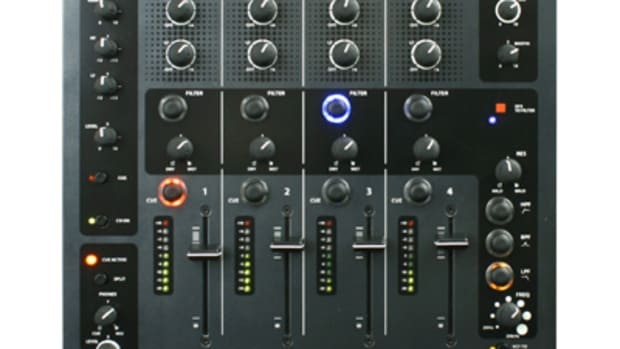 Each channel also has two individual volume knobs for Input A and Input B control, meaning that a DJ can actually play four sources at a given time essentially making this act as a 4-channel mixer. The mixer also has two microphone XLR inputs which are separately controlled by their own volume knobs. The microphone inputs also share a three-band EQ so they can be adjusted just right. Effects – (Note: for this review I did not use any external effects modules so I will only list the options shown). The Xone 2:02 includes many effect capabilities. On the back of the mixer there are Send/Return Left and Right ¼-inch inputs. Each channel has its own dedicated Effect Loop on/off switch located right above the channel EQ. There is also a “master” effect button which can be used to completely turn the effects on and off. EQ/CUE/PAN – As I stated previously, the sound quality of the Allen and Heath Xone 2:02 is simply excellent. The EQ controls for each channel are all sliders with a center click. There are Low, Mid, and High controls for the EQ that provide a total Kill when the sliders are lowered. Personally, I really like the 3-Band EQ faders as opposed to rotary knobs as it makes it easier for me to adjust them on the fly. Each channel also has a Left/Right PAN slider also with a center-click. The cue section of the Xone 2:02 is easy to use. There is another slider for channel one or channel two headphone listening. There is a volume adjustment knob, headphone mute button, and a cue/mix button that will allow the DJ to hear the master output when on mix mode or hear the cue slider selection when in cue mode. The headphone amp in this mixer is very good and it can get very loud. As long as your headphones can handle it, they can be adjusted so loud that a DJ could play a stadium show at very high decibel levels. The mixer also has a Channel reverse button that will switch the entire layout of the mixer from reversing the channel one and channel two controls and faders. Without a doubt, the Xone 2:02 professional scratch mixer is simply outstanding. This mixer has everything a serious turntablist could ever wish for. First of all, it has one of the best crossfaders on the planet with the Pro-X-Fade. On top of that, the line faders are excellently made and ready for anything a scratch DJ can throw at it. The mixer also has metal transformer switches to cut it up on. The durability of this unit is top in its class making the Xone 2:02 super reliable. The sound quality is also best in class. It is very hard to find fault with this mixer without being downright picky. The only gripe that I can find is that they could have possibly placed fully adjustable Linefaders in this unit as well, but again, the Linefaders were more than adequate enough for me, but others may feel otherwise. 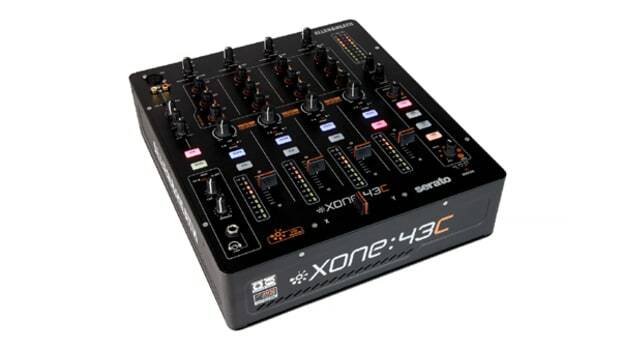 Overall I believe that the Xone 2:02 is one of the best two-channel Scratch Mixers ever created and any DJ looking for a true scratch mixer companion would be satisfied for many years to come. I would also recommend this mixer to any DJ’s who want to scratch but also use this mixer for four-channel mixing capabilities in a small package. This mixer is also very good for mixing as the faders can be easily adjusted (using the knobs on the front) for full out mixing. 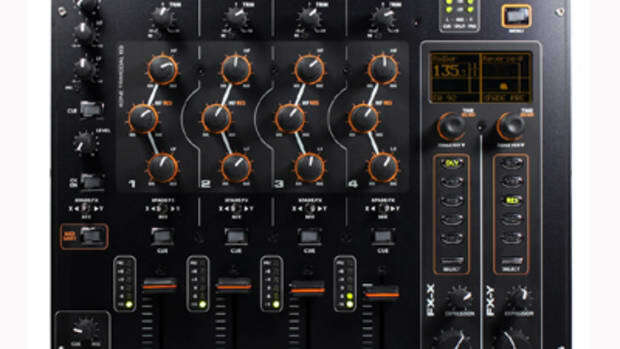 The mixing DJ also has the option of simply using the four input volume control knobs for mixing purposes. I also recommend the Xone 2:02 mixer to all mobile DJ’s because of its small form factor and incredible durability and reliability.